So I recently left my old job and had to sell all my old computers which was really sad, but now I have a new job and wanted to make a great budget build for mostly playing league, but also for Skyrim, Bioshock, and other single player games that I plan on getting into. Since I live in a remote part of Alaska, I can mostly only get stuff off Amazon using prime, or at least that's what people told me, so that's where I got all of my parts. Looking back, smaller things like drives or a cpu probably could have been shipped from Newegg, but I didn't really try. Either way, this is why some of the parts are not as cheap as I could have gotten them (or I could have gotten a different similar part). This is what the computer was built around. When I saw a quad core processor for $110, I knew I had to try it out. So far I have it overclocked to 3.8GHz on the stock cooler, which is good enough for me. On Cinebench, it scores around a 500, which I thought was amazing for the price! Userbenchmark rated it as in the 70th percentile, which I was happy to see. Also, the stock cooler looks amazing with the rest of the build. Much sleeker than stock coolers for Intel chips. For the mobo I went with the cheapest B350 motherboard I could find on Amazon, plus I wanted a lot of I/O, which this had two additional usb 3.0 ports as compared to a similarly priced one. 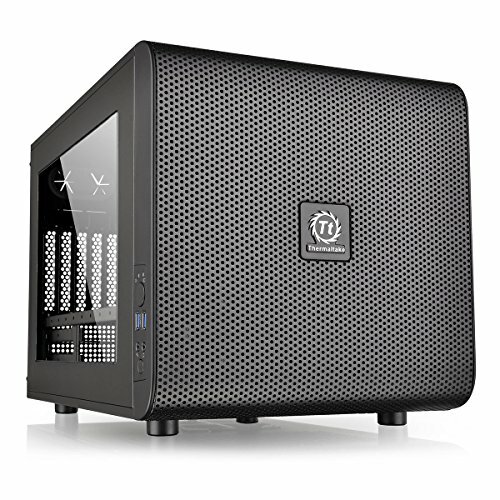 I don't like that it only has two fan headers, so if I get any more fans, which I do want to do to increase air flow, I will need to get fan splitters. Other than that, it looks nice, fits with the aesthetic, and got a decent overclock. I also would have liked to have gotten a motherboard that could attain a higher RAM overclock, but at the time I couldn't afford much more, and regardless this is a budget build so I don't mind the few fps I might be denied. For RAM, since I was getting a windowed case, I needed one with a heat spreader. Along with this, I wanted it to fit with the black theme, and it also needed to overclock to 2666 since my motherboard could only go that high. Hence the vengeance LPX, which is a classic in many youtuber builds like on Bitwit and Paul's Hardware. Storage For storage, even though it's a budget build, I wanted an ssd. Not only that, but my motherboard could support nvme, so why not go for it! When I saw a sale on Amazon (it was so sad to see many nvme drives go on sale on newegg), I knew I had to grab it. It runs like a dream, and from pressing the power button to getting to my desktop it's around 10 seconds (will time IRL soon and post). Along with this, I needed mass storage, so I decided to get the 1tb Seagate drive. 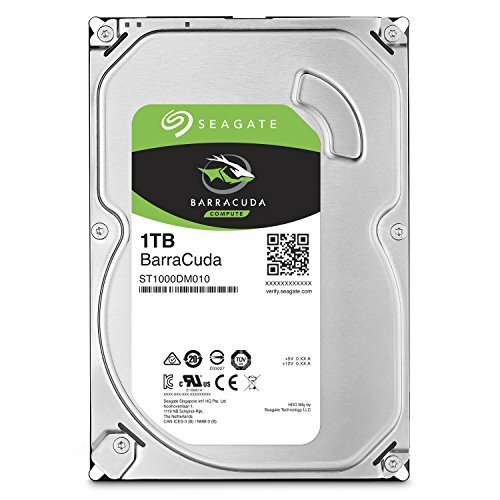 When looking at both WD and Seagate, I didn't think there would be that much of a difference, but when I checked out userbenchmark, I was floored at how much better Seagate was, so I snagged that for a good price off Amazon. 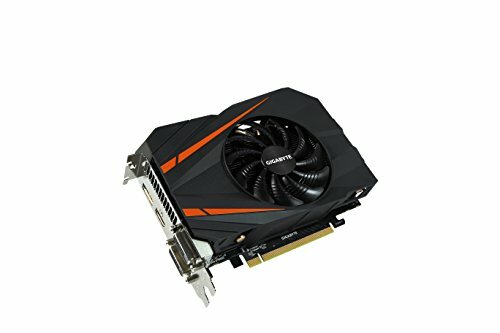 GPU For the GPU, I didn't know what to do. 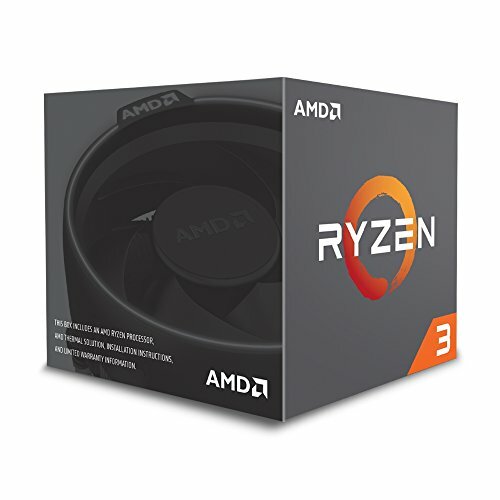 When I checked around a month ago, the bottleneck for the Ryzen 3 1200 was around the rx480 or gtx1060, and also when these were getting really expensive. A year ago I could get one of those for $150, but I had to settle for a 1060 3gb for $210. It looks alright, although I now wish I had waited for a dual fan to go on sale just so it filled up the case more, and so it could hide some of the cables. Regardless, I get 200fps on league at 1080p, so I'm a happy guy. Case For my case I wanted something windowed, small but not mITX since there weren't a whole ton of motherboards available, and it had to be $60 or under. Well, this case fit exactly what I needed. It was pretty easy to build inside, although hiding the cables is really a task. I like the inverted motherboard, as it allows the ability to show off the GPU more. However, if I want, the case is designed so that I could throw the window on any side, so if I don't like that view or want to show off other parts, I could switch it to the top. Either way, I really like the case! 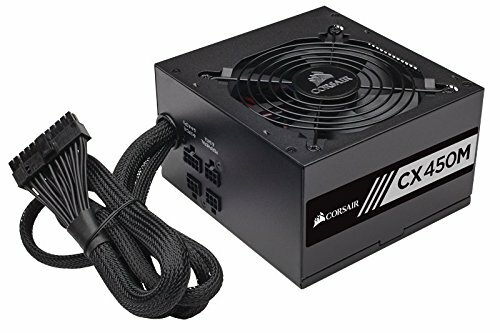 Power Supply Mostly just wanted a semi modular bronze 80+ certified PSU, and found that with the Corsair CXM. It definitely helped with the overall black theme, and the cables were really easy to work with. I'll bet you get some good temps up in Alaska! This build is as good as it gets for the money. Oh wow, thanks for the comment! I feel like if I would have waited I could have gotten all of this for $600 (although with different but similar parts) but I was happy with everything in the end. Yeh you could've gotten the gpu a bit cheaper, and maybe $10 off the ssd. But apart from that, pretty damn perfect. I was actually lucky that the SSD was on a sale in the first place! Otherwise I wasn't planning on getting the NVME drive. Yes, but honestly I don't get paying the premium for Samsung SSD's when their performance, while the best, isn't always significantly better than others. They look nice and perform well, but price/performance I think I did better. Wow. This is how a budget build is meant to be. Amazing work!